Get a comprehensive overview of Russia’s cultural capital on this 2-day small-group shore excursion to St. Petersburg. See famous landmarks such as the Hermitage Museum, Catherine’s Palace, Peterhof, the Church of the Savior on Spilled Blood, and much more. 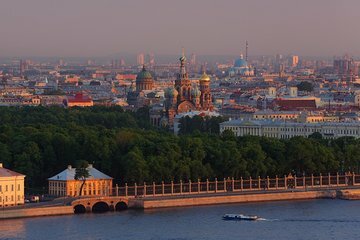 Enjoy a boat tour along the canals and the Neva River, 3-course Russian lunches on each day, and skip-the-line admission to popular attractions.